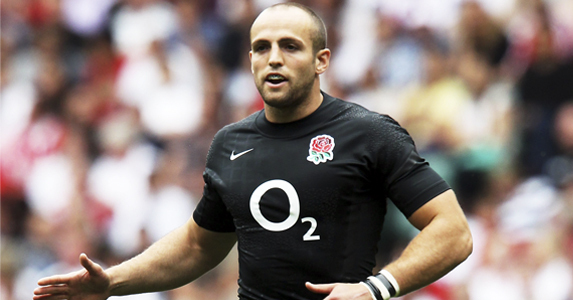 Charlie Sharples was born in Hong Kong on 17 August 1989 and spent two years at the Dursley club from the age of 14. The year after winning the 2006 Daily Mail Cup final, he toured Australia with England U18. Sharples made his Premiership debut for Gloucester against London Irish on 8 March 2008 and scored a maiden top-flight hat-trick against Sale Sharks on 7 May 2011. He won the Gloucester Young Player of the Year award for 2010-11 and was also among the nominees for the Land Rover Discovery of the Season. He made an instant impact with England Saxons, scoring a try against the USA only 17 minutes into his debut off the bench in the 87-8 win over the USA last June. He had booked a holiday with his girlfriend last June, but had to cancel when called into England’s World Cup training squad. He ran 40 metres in 4.82 seconds in pre-World Cup training – quicker than anyone else in the squad. To find out more about Charlie, and read the rest of his interview pick up our February issue now!